Hurray! 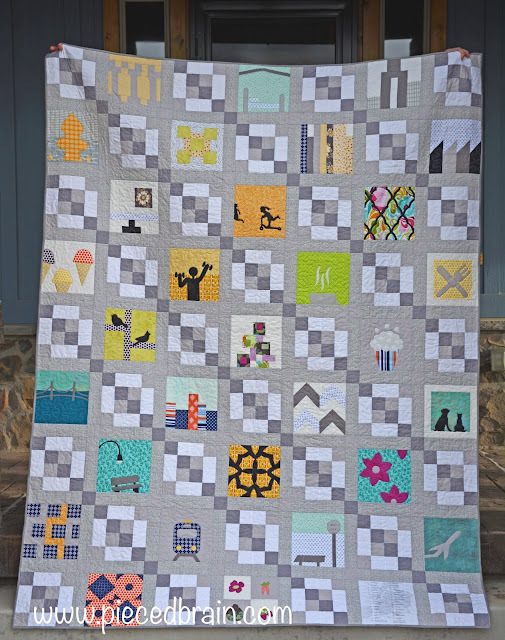 My City Girl quilt (or should I call it "Ode to Riley Blake" since just about all fabrics used are by Riley Blake Designs, and were provided by them, too!) is finally quilted and bound! I am doing the happy dance all day today even though it is cloudy outside, as you can tell by the photographs. You've heard of the Farm Girl quilts. Well, I was born in Sao Paulo, Brazil, a city that is larger than New York City. 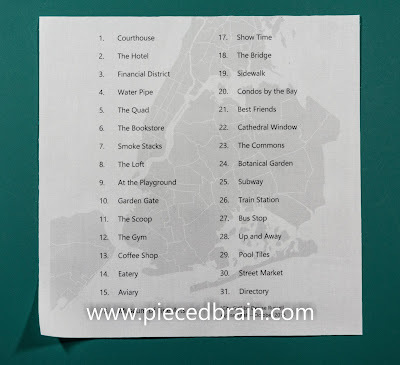 I decided to celebrate all I like about big cities by designing blocks which depicted many of their places and sights. The second to last block on the bottom right has a map and the 'directory' of all the 'locations' in my city. I am very happy with how this modern quilt turned out. I still have the photos and tutorial for all the blocks here on this blog. This quilt was completed using Aurifil threads: 50 wt for piecing and 40 wt and others for applique'. It measures 68" x 89". I chose to finish it without a border and with a hand stitched gray biding. In fact, I wanted to use a lot of gray in this quilt which is a color that abounds in large cities. The backing is a collage of all leftover fabrics I had from the blocks. Perfect sampler all around. 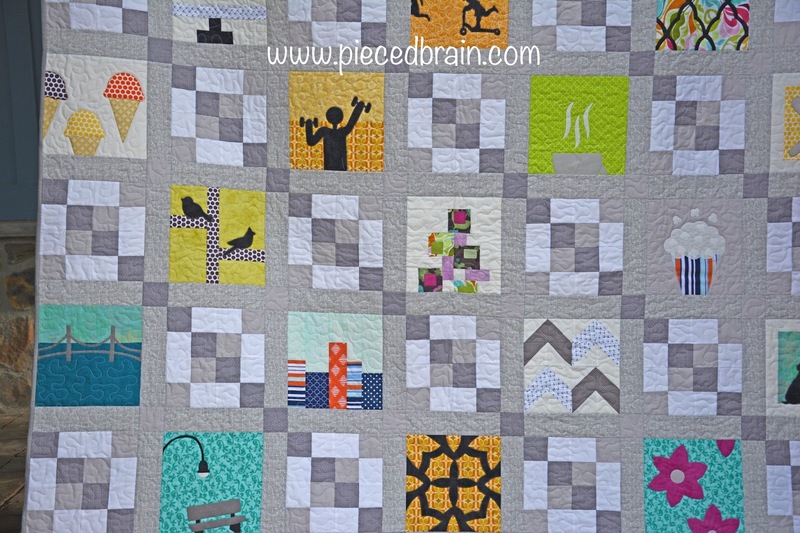 For all of you who participated in the City Girl Sew Along, send me pictures of your quilts so I can feature them on this blog. In the meantime, I hope you have great and fun plans for this week, and that they involve lots of quilting! Terrific job. Your block choices are wonderful and colors are definitely for a city girl. Denise, I'm jealous! Yours is wonderful! Mine is a UFO for now, but it is on my list. Your quilt is wonderful! I have the pattern, but have not even started it. I have been working on several other projects, but your quilt is very inspiring. Your quilt is just fantastic.Great job and love your fabric comob. Thanks, guys. This quilt takes me back to my days growing up - I am loving it! So many cute things to look at, love the fire hydrant and the fork and knife, great finish! This turned out to be so beautiful. A great autobiography quilt. I appreciate your sharing the patterns too.